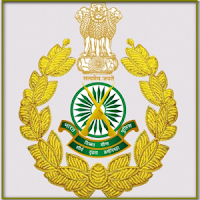 The Indo-Tibetan Border Police is one of the five Central Armed Police Forces of India, raised on 24 October 1962, under the CRPF Act, in the wake of the Sino-Indian War of 1962. The ITBP was intended for deployment along India’s border with Tibet. Applicants who have completed a Bachelor’s Degree in Veterinary Science and Animal Husbandry with physical/ medical standards or equivalent from a recognized Institute for ITBP Recruitment 2019. Eligible & Interested candidates can apply via online in Official website page in www.itbpolice.nic.in ITBP Recruitment 2019. Take a print out of ITBP Recruitment 2019 online application form.